We have been living in the beautiful hills of Nymboida for the past 11 years, growing our food and animals organically (using a permaculture model) and educating ourselves and our children in the arts and skills of Self Sufficiency and Natural Living. Fuelled by our belief in sustainable agriculture and our wish to help others eat the most nutritionally rich food, we only support agricultural systems that regenerate the land. We have made it our mission to source ethically grown, organic produce straight from local farmers where possible and interstate where needed, so that you can get every whole food you need from the one shop, delivered to your door. As we have a growing family, we know how precious time is and what a challenge it is to provide enough nutritious food for growing bodies. So by keeping our operation costs low and tailoring the boxes to your needs, we deliver the most affordable food to your doorstep every week, helping you and your family “eat for true, natural health”. We believe that, as consumers, we do have to be particular in this world today where so many untruths are propounded in the name of progress and profit, even within the Organic industry. In these times of mass consumerism and globalisation, it is challenging to find unadulterated food that is produced in an ethical way.  So we started DEOSA Wholefoods as a local business for local people. 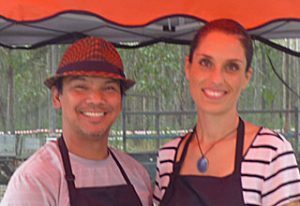 We visit the best organic growers in the Northern Rivers region and partner with them to support their production of healthy food, healthy farm systems, and healthy livelihoods. By participating in our business, you are supporting LOCAL Businesses, ethical farmers and the health of the Earth, whilst ensuring you and your family receive the benefits of eating the freshest, tastiest, and most nutritious food every week, delivered direct to your home or office door. We look forward to serving you the most tasty and ethically grown food around while ensuring that such clean and vital food exists for future generations.